February SNAP Monthly Connection Newsletter is here! 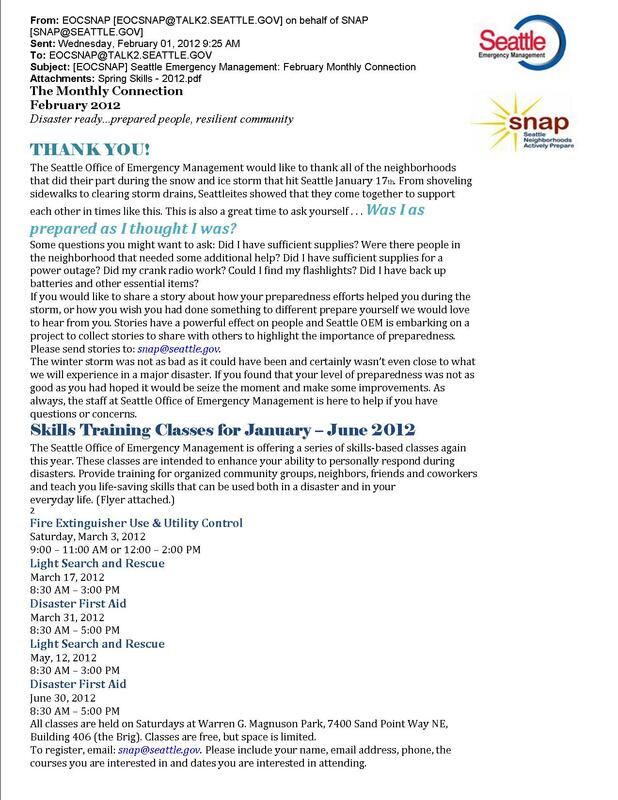 Here is a copy of the February 2012 SNAP Monthly Connection newsletter that was sent out today by the Seattle Office of Emergency Management. 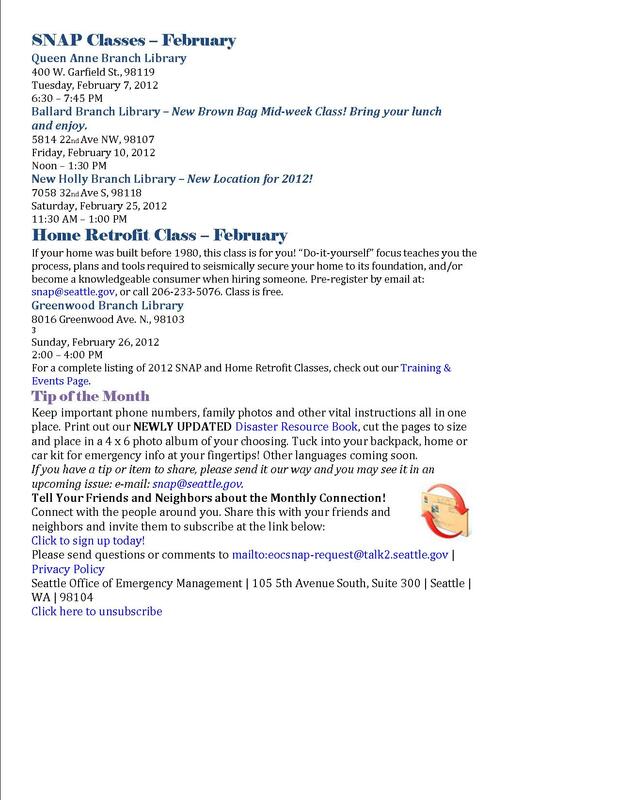 A 2012 Skills Training flyer was attached & I’ve posted that separately. This entry was posted in Announcements and tagged Seattle Office of Emergency Management. Bookmark the permalink.